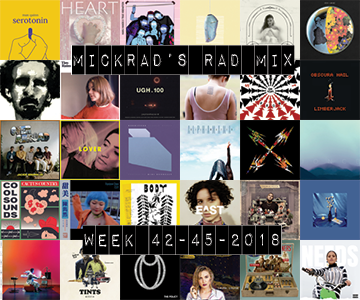 I did post a little playlist while I was away, but have combined the last four weeks into a mega playlist before resuming normal transmission next week. November is also one of my favourite months of the year because, not only are we that much closer to Summer, but it’s Australian Music Month all over the ABC and it’s become a huge thing every year, incorporating Aus Music T-Shirt Day (18th of Nov), the J Awards and ARIAs later in the month, plus the National Live Music Awards (NLMAs) on the 6th of December. EPIC. I love celebrating Australian music and seeing as though my playlists are over 90% Australian, I celebrate every week of the year the amazing talent that we have in this country.